← December 8, 2016 – Birthday! John grilled a steak and we split it. John takes the eye part and I have the cap. It is yummy. I also made this mash which I call confetti mash. I had some leftover mashed potatoes and added parsnips, carrots, and parsley to them. It came out looking pretty festive. And now that it is getting more wintery out I am thinking we will be seeing a lot of broccoli. 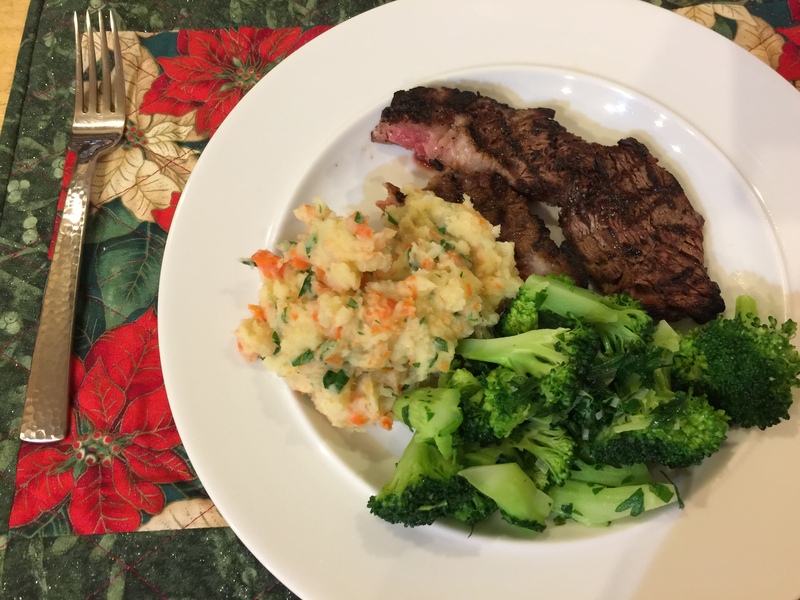 This entry was posted in Beef, leftovers, Vegetables and tagged broccoli, mashed potatoes, mashed root vegetables, ribeye steak. Bookmark the permalink.